As a leading partner of commercial vehicle manufacturers and hauliers, BPW develops and produces innovative solutions for efficient transport from A to B.
Wiehl, 27.11.2018 --- BPW has been picking up a series of prestigious awards as an employer, training workplace and leader of innovation for years – and has also managed to keep landing new prizes. Now, the F.A.Z.-Institut has put the family-owned company at the top of the list of ‘Germany’s most desirable companies’ for the first time in the automotive supplier category. Behind this lies a finely balanced blend of enthusiastic innovation and the security that is typical of medium-sized businesses. Agility, innovation and advancement into the future are all topics that can inspire yet also deeply unnerve trainees and employees. 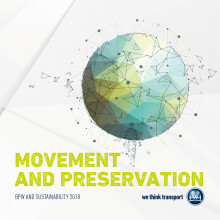 The BPW Group has been artfully reinventing itself as an innovative technology company and provider of mobility services for the transport and logistics industry for several years now – while at the same time actually improving employee satisfaction. One sign of this is a recent study from the F.A.Z.-Institut, which named BPW as ‘Germany’s most desirable employer’. The study received academic support from the respected HR diagnostics expert Professor Werner Sarges and was based on statements about 5,000 companies in 350 million German-language online sources from the last three years. Professor Sarges has also supervised studies by FOCUS and FOCUS Money, which have previously named BPW as one of ‘Germany’s best training workplaces’, a ‘digital champion’ and a ‘company with the best job fairness’. 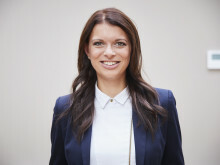 BPW is a typical hidden champion among medium-sized businesses in Germany. Its products and services are barely seen by normal consumers, but without BPW transport and logistics, the roads would quite literally grind to a halt: the company develops virtually everything needed to keep transport moving, safe, illuminated and digitally networked. Over recent years, BPW has been consistently using its position as a market leader for running gear systems to drive forwards innovation. The company is now considered a prime example in the field of Industry 4.0 by the German Federal Ministry for Economic Affairs and Energy and is making waves in areas such as electric mobility, telematics and the Internet of things. ‘Our progress here is down to the absolute dedication of our employees and trainees,’ emphasises Barbara Höfel. The company training centre has recently set up its own robotics training centre. This is something rather special even in the industrial region of North Rhine–Westphalia and is a highly attractive option for graduates and school leavers who want to work with robots. An in-house talent programme ensures that dedicated employees can progress into positions of responsibility at the company, even if they do not have an academic background. The company also sets out how it is supporting its staff in the annual Sustainability Report.